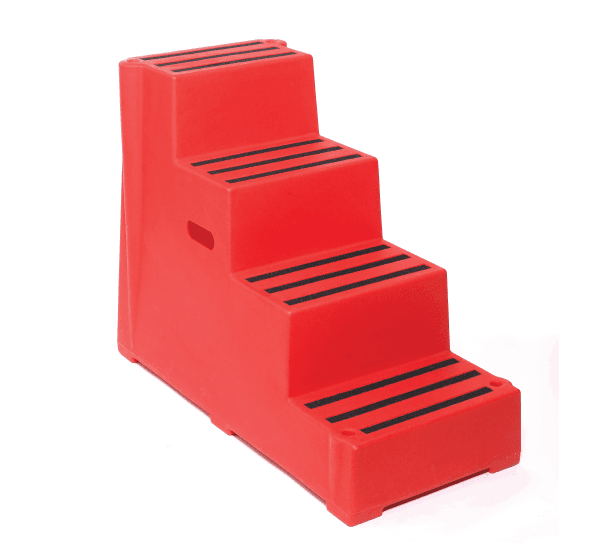 With a load bearing of 260kg and wall thicknesses of 10mm, these Heavy Duty Steps are robust, hardwearing and virtually indestructible! 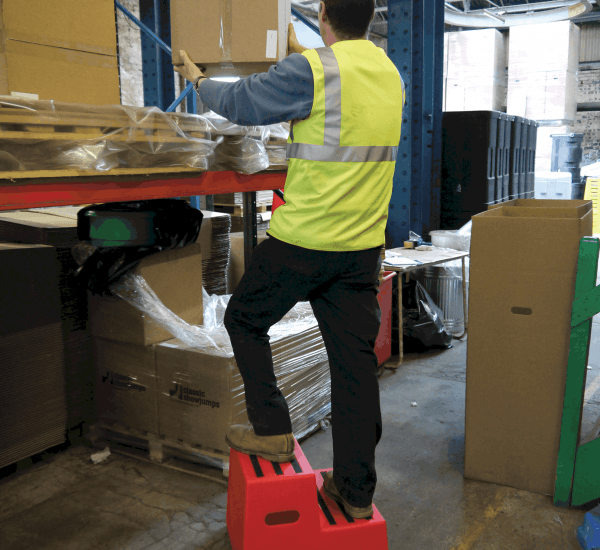 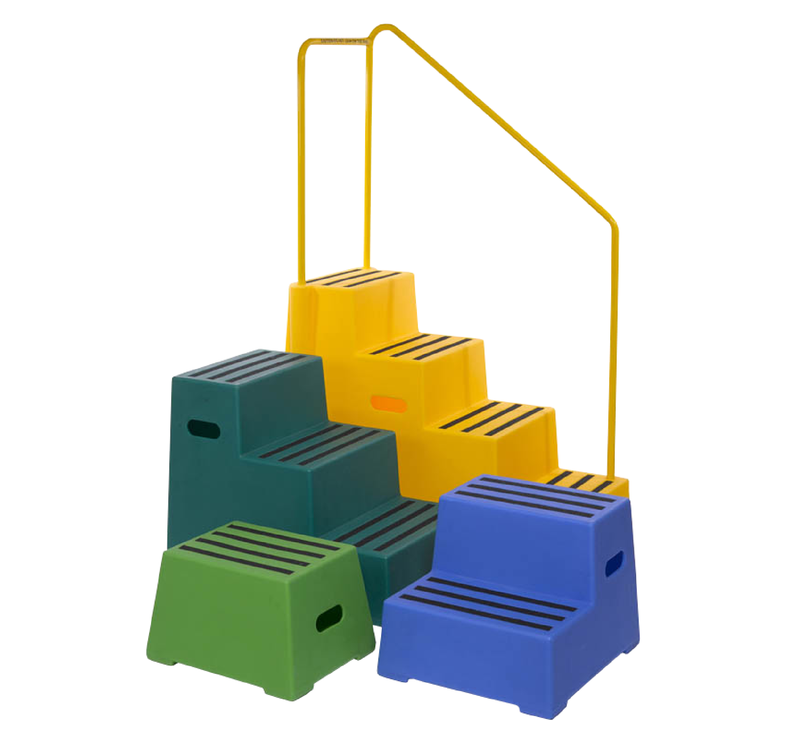 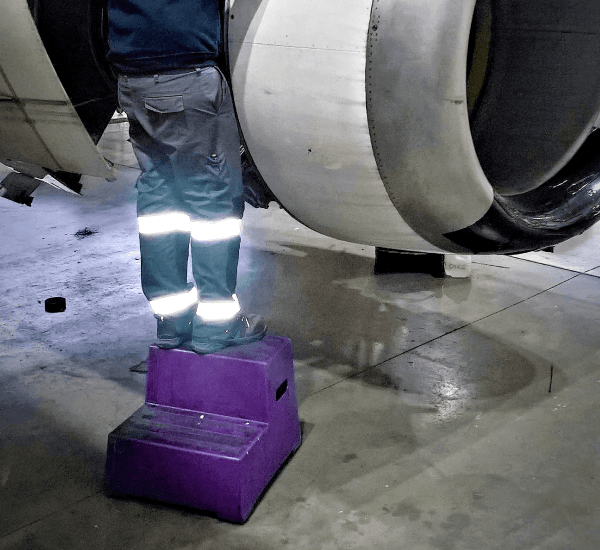 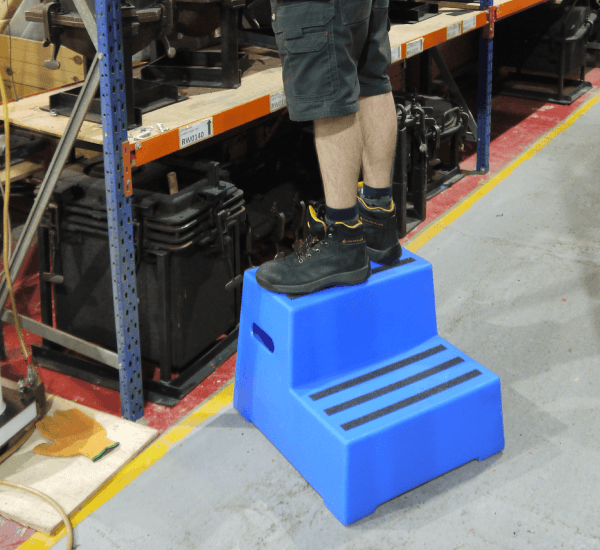 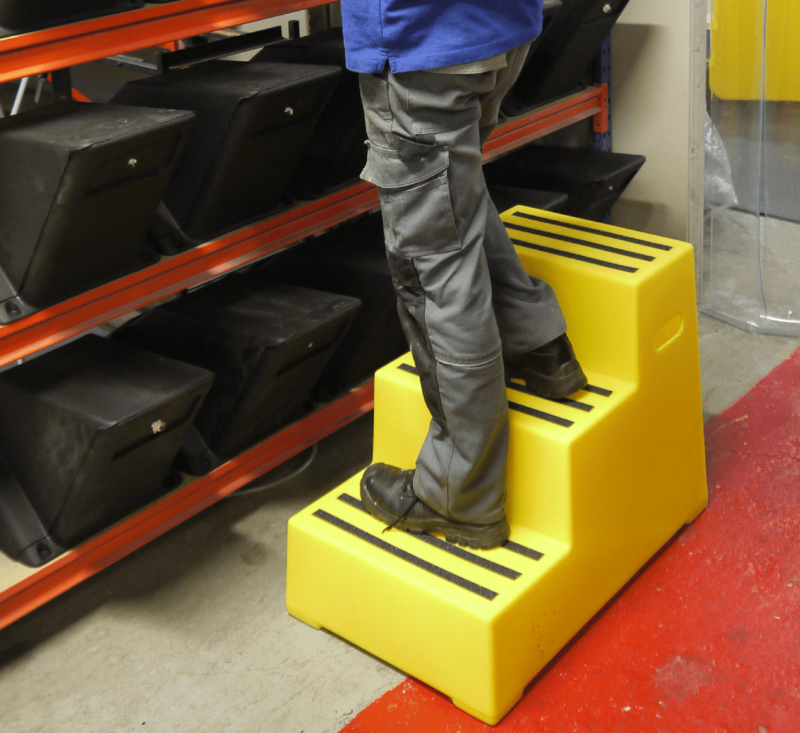 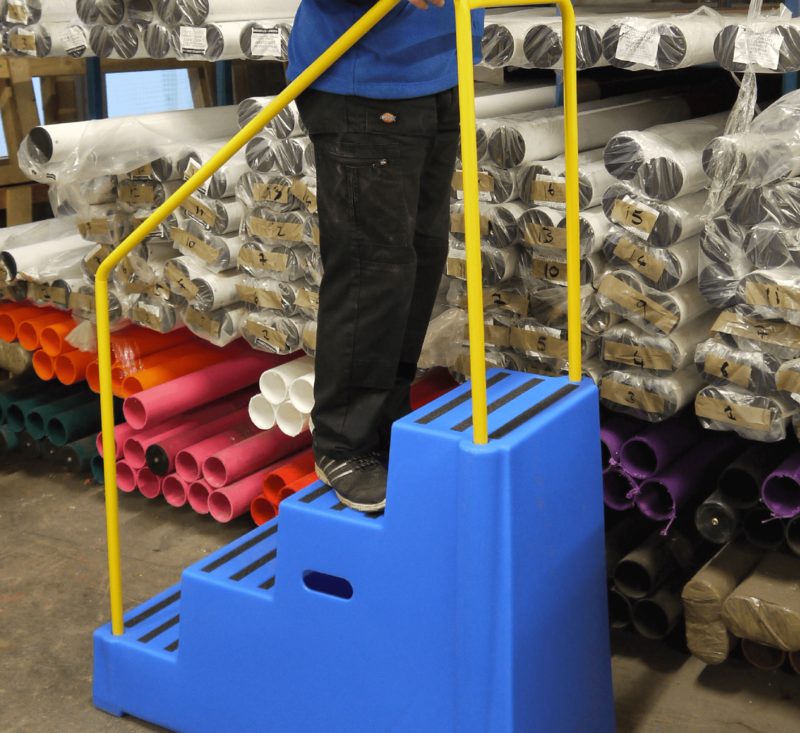 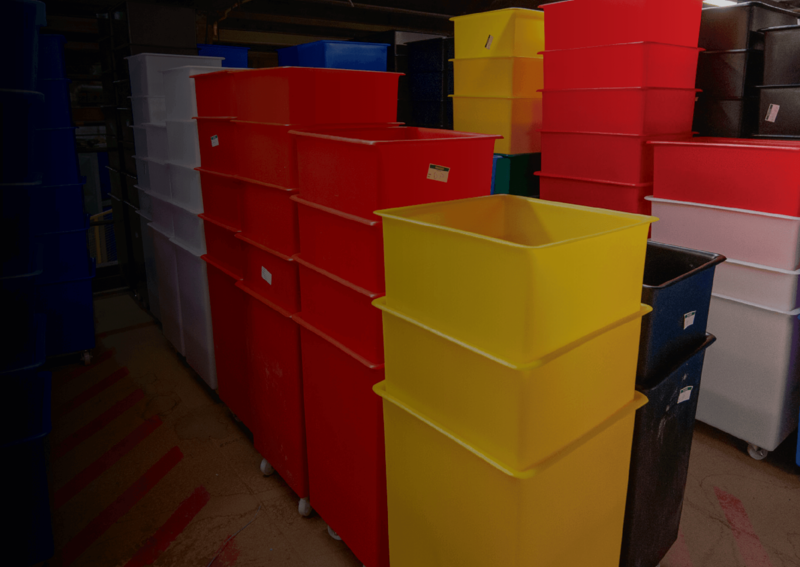 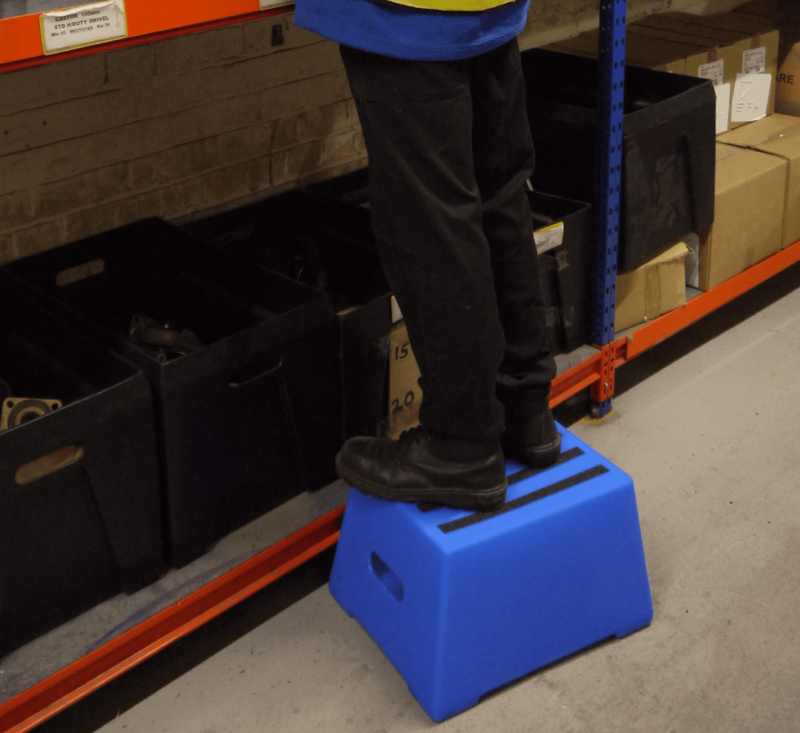 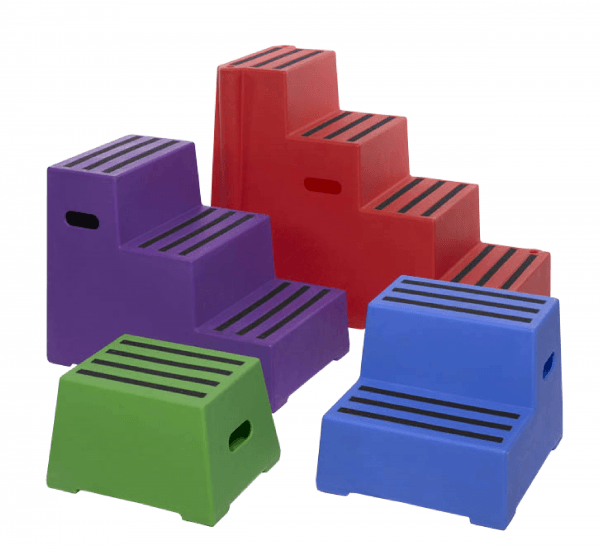 Sold via our extensive European-wide distributor network, these Heavy Duty Steps are suitable for use in a vast array of places including factories, warehouses, storerooms, schools and hospitals. 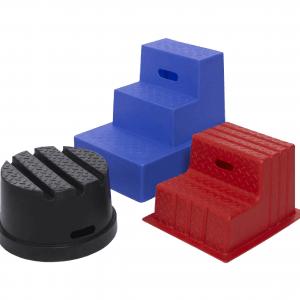 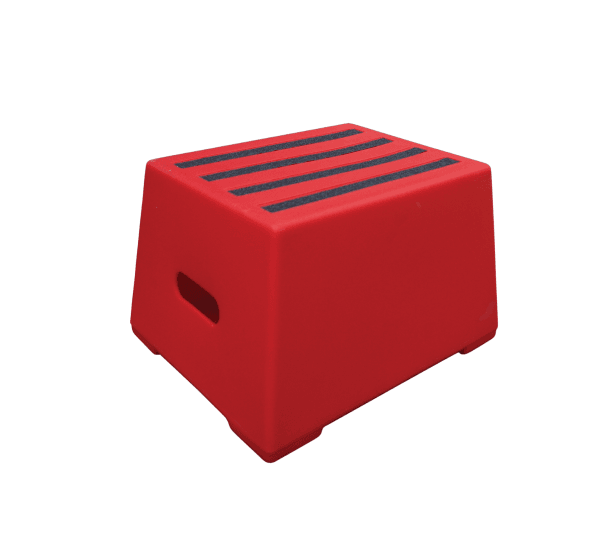 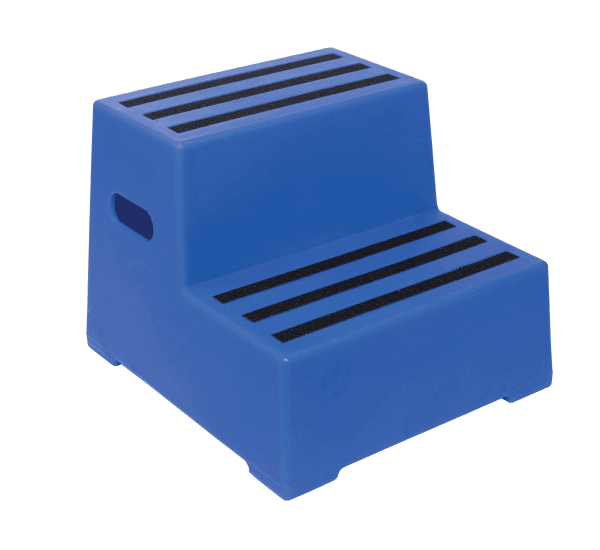 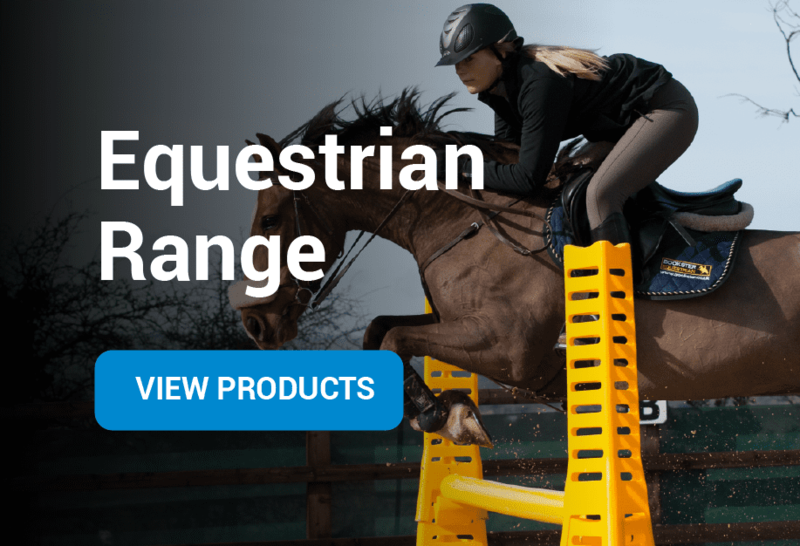 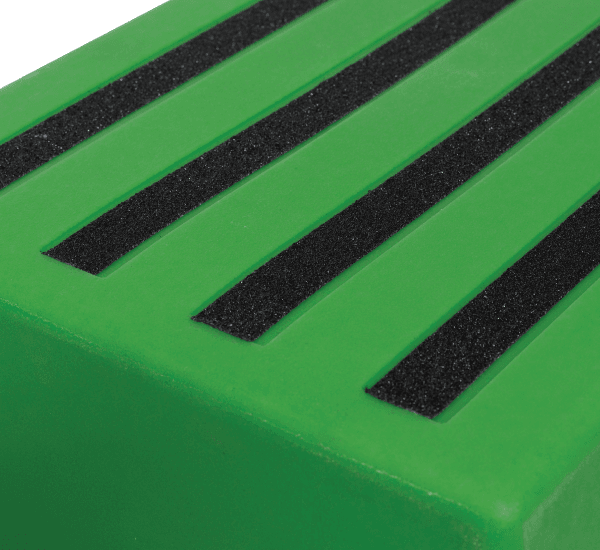 Our range of Heavy Duty Steps are easy to handle due to the hand holes routed out on either side. 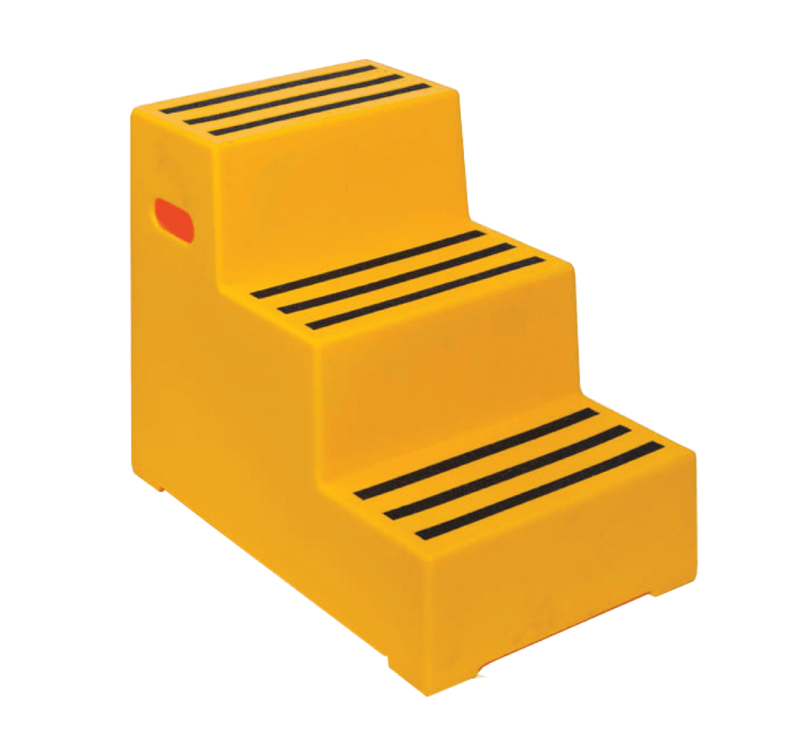 Each step is also fitted with abrasive strips for sure footing. 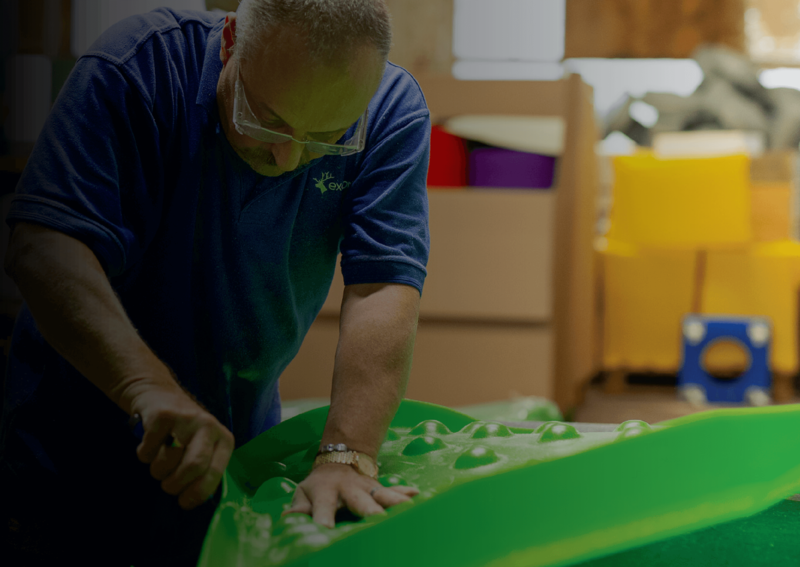 For use on polished floors, we can fit rubber feet to the underside for added stability. 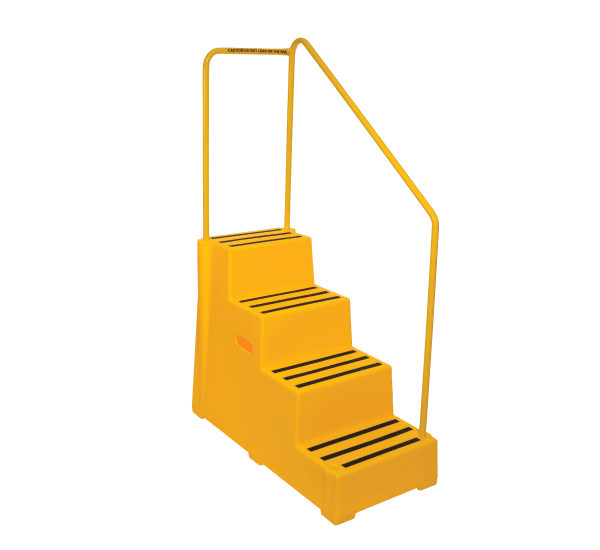 The four Step is also available with a powder coated steel handrail to give the user added safety.